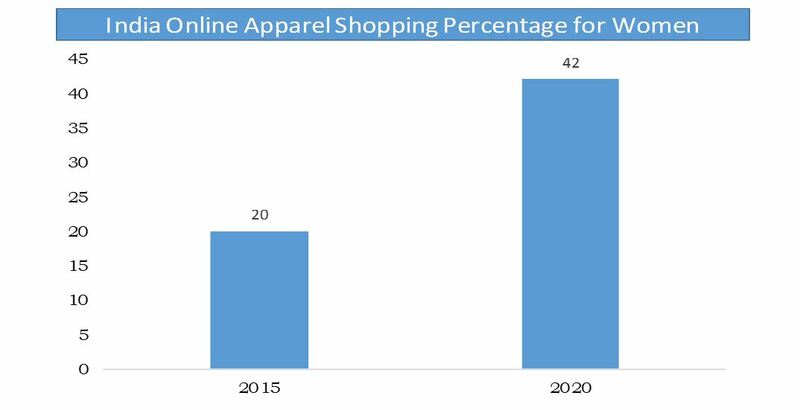 Online clothing rental market size is estimated to reach $1,856 million by 2023, growing at a CAGR of 10.6% from 2017 to 2023.The rental market works to address clothing needs of the consumers who cannot afford or do not want to spend money on the clothes to be worn for one or two occasions, making it more affordable. Online clothing rental portals offer a wide range of clothes, which can be characterized based on size, color, type of outfits, brands, and prices. The global online clothing rental market is segmented based on end-users, clothing styles, and geography. Based on end-users, it is classified into women, men, and kids. For clothing styles, it is categorized into ethnic, western, and others. Geographically, it is analyzed into, North America (U.S., Canada, and Mexico), Europe (UK, Germany, France, and Rest of Europe), Asia-Pacific (India, China, Japan, and Rest of Asia-Pacific), and LAMEA (Latin America, Middle East, and Africa). With regards to the market competition, online renting and re-commerce companies are expanding the pre-owned product market with pioneering solutions to cater to different segments. North America already has an established structure for online rentals, here the influx of startup in clothing rentals started five years back. While in Asia-Pacific, increase in internet penetration in developing countries, such as India, China, and Brazil, helps the online clothing rental market post a strong growth rate. As, broadband internet increases, so will the demand for online shopping and online rental services. Additionally, increase in use of mobile technology in these countries are further expected to boost the market. The convenient way of shopping and value for money is one of the key driver for this market. Other driver of the global online clothing rental market is the increase in ease of use of online retail. There has been major shift in social acceptance of buying and renting pre-owned products. 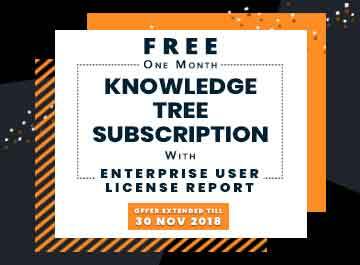 Various online rental enterprises have initiated great efforts to enhance their market reach with the help of internet and various advertising innovations for instance rebate on overall costings for booking a month prior to its use. This has been observed to be attempts to stay competitive and increase the specialized production that leads to more online rentals. Internet usage for shopping apparels online has become commonplace norm for many people, the added benefits of convenience, easy research ability, and price comparison tools outweigh the effort required to physically visit the traditional bricks-and-mortar store. With online rental platforms, available the consumers are expected to purchase and rent any type of clothing with less economic expenditure and long term use. The impact of social network sites, such as Facebook, Instagram, and online communities have a great impact on the expansion and growth of the market as these social network sites and online communities helps to spread the knowledge about companies and startups in online clothing rental market. Rapid growth and rise in urbanization have spawned consumers with more expenditure in the market and an urge for fashion. Significant new growth opportunities for foreign and domestic players are observed, owing to high-growth and fast-changing retail and online clothing market in the Asia-Pacific region. The online clothing rental is mainly suitable for people who dont want to purchase an expensive dress for a one-time event neither can borrow every time from a friend. Designer gown & accessory rentals that were the exclusive territory of celebrities are becoming a norm common to all. Women prefer variations in new designer brands and decide about the investment. With the usage of these online rental platforms one can now easily experiment with fashion or try a new designer brands. In addition, budget conscious end-users in the millennials age group are a great target market for the online rental industry, but another ideal customer base consists of individuals going through temporary stages of rapid size change, such as pregnant women. The report elucidates on key drivers, restraints, and opportunities and a detailed impact analysis from 2016 to 2023. Porters Five Forces model of the industry illustrates the potency of the buyers and suppliers in the market. The report provides a detailed analysis of the market with respect to end-users, clothing styles, and geography. 3.5.1.2. Convenient and value for money. 3.5.1.3. Rapidly growing economies of China and India. Online clothing rental service is a provision of renting clothes for a certain period with the help of online platforms by connecting distributors & retailers and potential customers. Online clothing rental portals offer a wide range of clothes, which can be categorized based on size, color, type of outfits, brands, and prices. In addition, online rental service providers offer consultation services to customers through expert designers, image consultants, and other fashion experts. Festive outfits related to various events, such as wedding, corporate parties, theme parties, films, and photo shoots are in high demand in the online clothing rental market. Ethnic clothes have different definitions based on regions such as festive clothes and lavish wedding dresses and bridal dresses in the Asia-Pacific region, Tuxedo in countries of North America and Europe. However, western wear is the highest growing segment during the forecast period, as it consists of corporate wear in countries of North America and Europe, while party wear in Asia-Pacific countries. Western wear is expected to grow at a comparatively higher CAGR, particularly, due to the rise in demand of rental formal wear. The growth in corporate world and the increase in female workers have boosted the usage of formal wear while being present in the office. Women as end-users have the highest market share as women in particular avoid repetition of dresses. Although, men are gaining the market share, owing to their economical mindset and spending habits. The kids segment is also on the rise mainly due to the increase trend of themed parties based on comic starts, Halloweens etc. where the outfits are costly as compared to its usage. The major growth factors for the market includes penetration of online clothing rental market, caused by the growing internet subscribers and increase in adoption of smartphones globally. Also, individuals going through rapid body shape change such as pregnant women and kids are the target customer base for some of the market players in this industry. Thus, online clothing rental service enables a cost effective option for consumers by renting the particular type of dress at a much lesser price than its original price for definite period. The competitive scenario among global players is increasing that resulted in heavy discount options and value added schemes for consumers, which is in turn driving the market. In addition, market players who started earlier are holding up well even after the emergence of many startups in this sector.